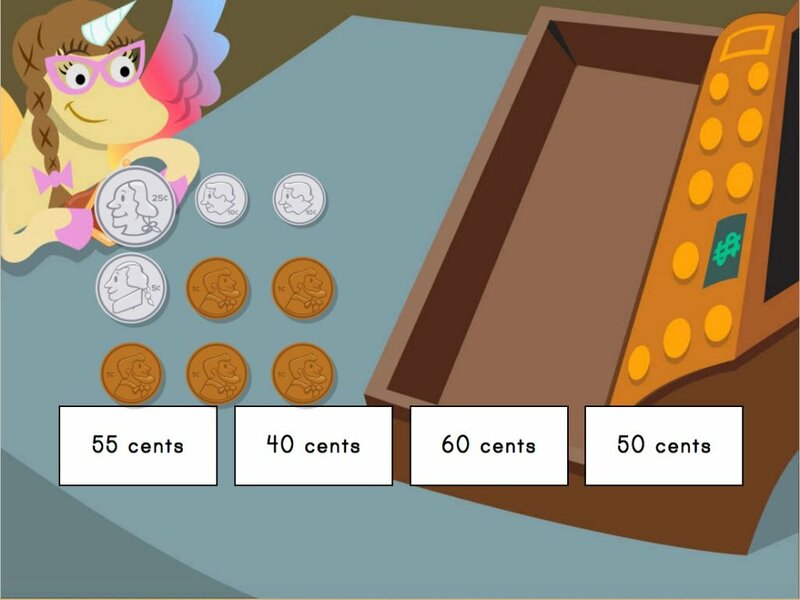 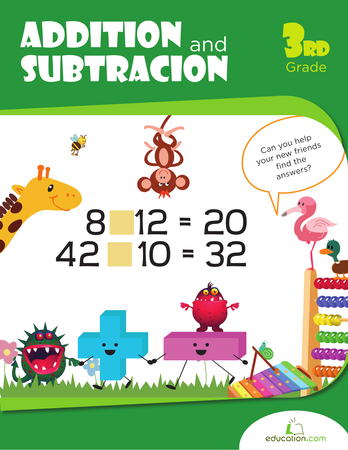 Looking for a fun and practical way to help your child practise adding and subtracting? 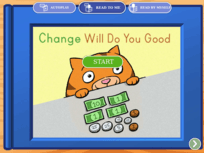 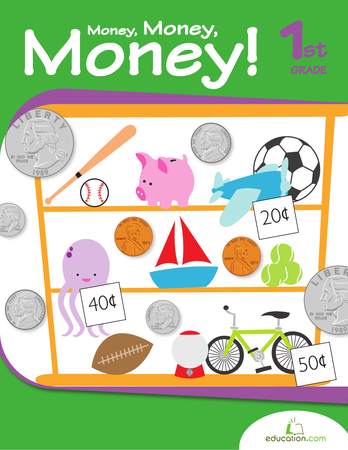 Try playing with money! 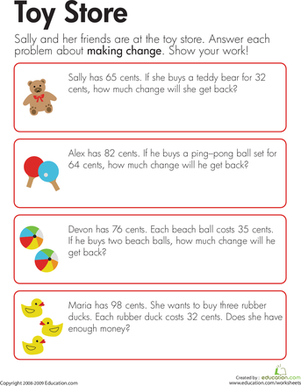 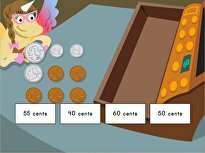 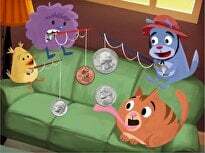 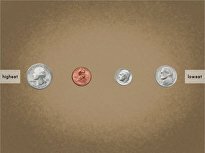 Kids love holding, counting, and pretending with money, so why not add in a little maths practise on the side? 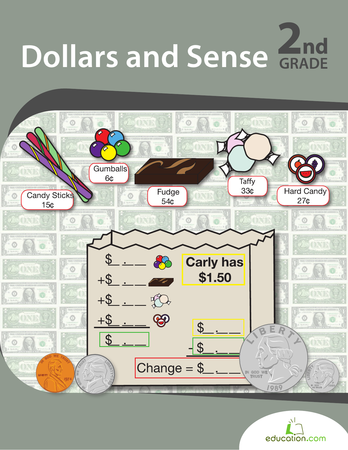 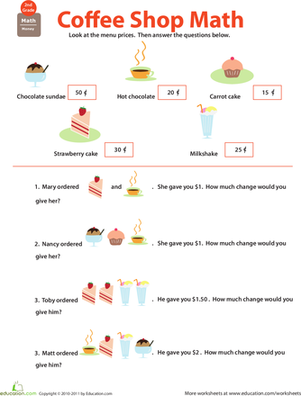 In this coffee shop worksheet, kids add up how much each customer's order comes to, then figure out how much change they should receive. 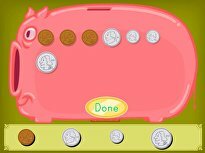 Check out Stationery mathsFor more money fun.